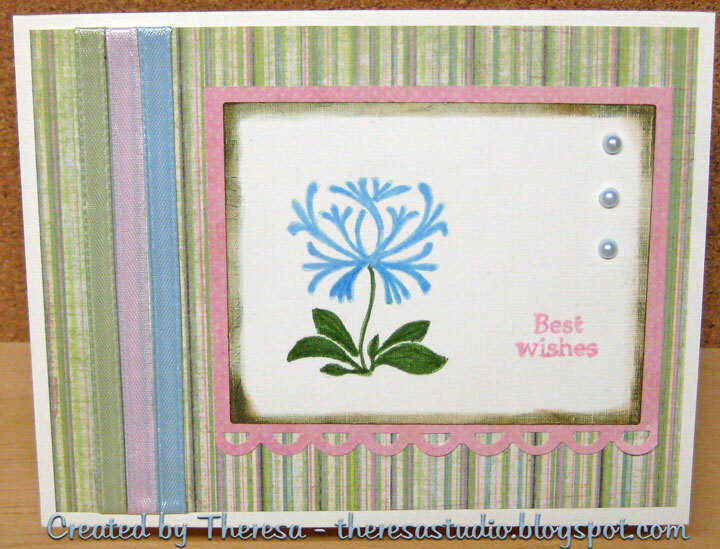 I love this color combo... makes for a gorgeous card! This is a beautiful card! I love the color combo, it's so soft and lovely. Thanks for pairing it up with my sketch. 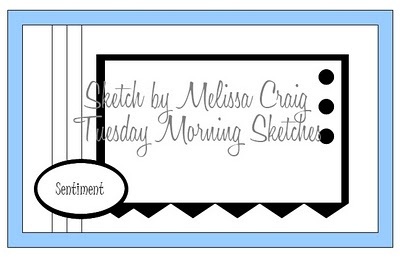 Thanks for joining us at Tuesday Morning Sketches. Beautiful card! 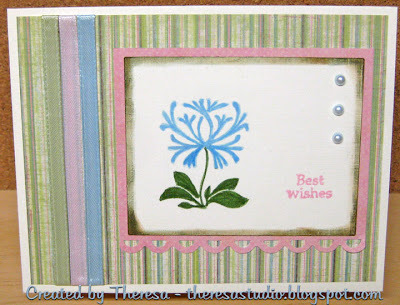 Thanks for entering my birthday candy and mentioning my name over at Stamping Vacation!! YOU WERE THE WINNER OF OUR BLOG CANDY Please come and visit!! Very effective, love the colours. Thanks for joining us at Craftalicious.